Mount Sungay, also known as Mount Gonzales, is a mountain in Cavite, Philippines that is a part of the Tagaytay Ridge. If you are not familiar where the hell in Tagaytay this mountain is, you might get surprised if you will find out that the mountain summit is actually the location of the urban park: People’s Park in the Sky. Originally, the mountain peak has a reported elevation of 752+ meters above sea level (MASL). It was conical in shape with steep sides deemed “inaccessible,” topped by distinct rock formations that resemble horns, hence the name sungay. The construction of Former First Lady Imelda Marcos’ Palace in the Sky that started in 1980s caused the summit of Mt. Sungay to be destroyed. The half-finished mansion remained unfinished after the People Power Revolution in 1986, and was then converted into the People’s Park in the Sky. Short Description: Mount Sungay, also known as Mount Gonzales, is a mountain in the province of Cavite in the Philippines. 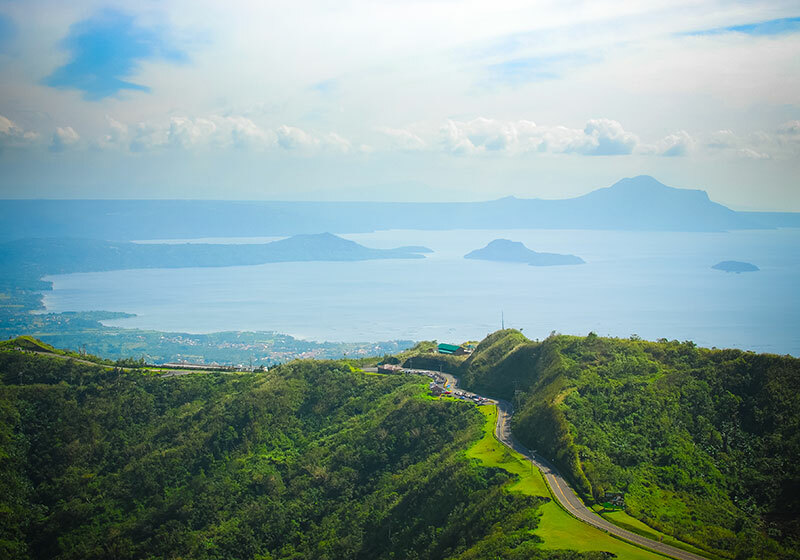 Located in eastern Tagaytay, the inactive stratovolcano is the highest point of the province of Cavite at 709 metres.